July is such a wonderful time of the year. We are blessed to have so many reasons to celebrate (these and more). 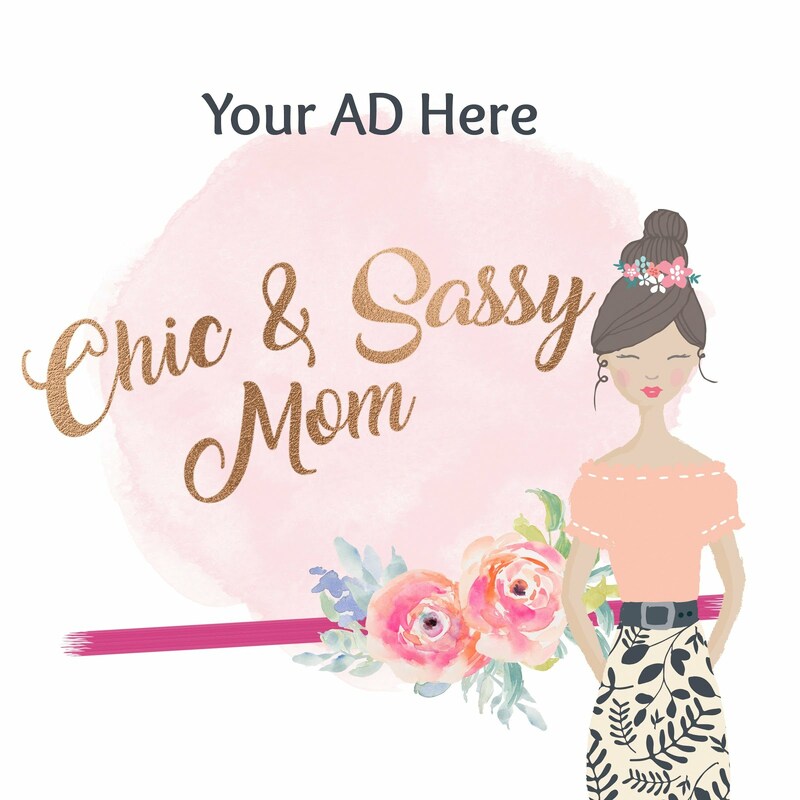 We are grateful! 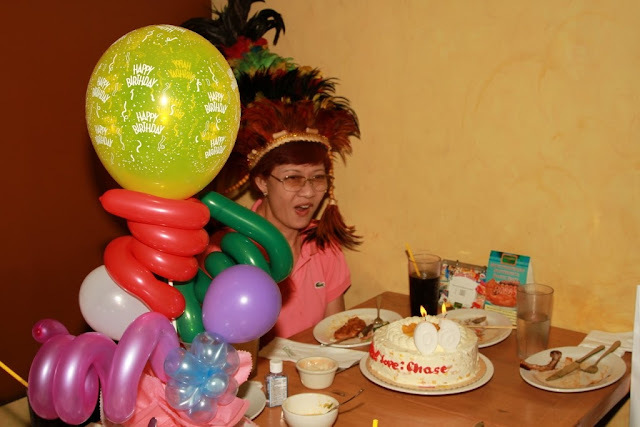 One of the many celebrations for this month was my mom in law's (we call her Nans, short for Nanay) 60th birthday! 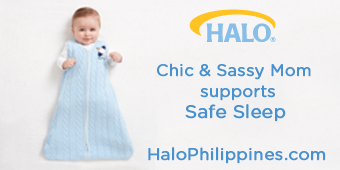 I have to tell you that Tats and Nans are from Iloilo. But this month, they visited for their annual checkup. We are delighted to have her with us on her birthday, it's such an exceptional treat to us. 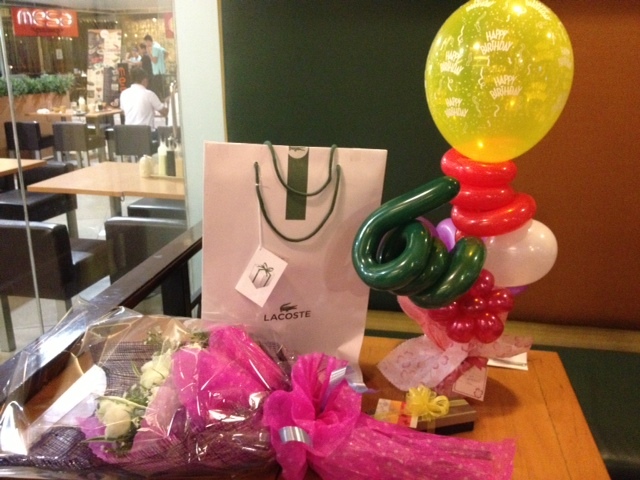 Surprises awaited her at the restaurant...Balloons, Flowers, Cake, and Gifts. 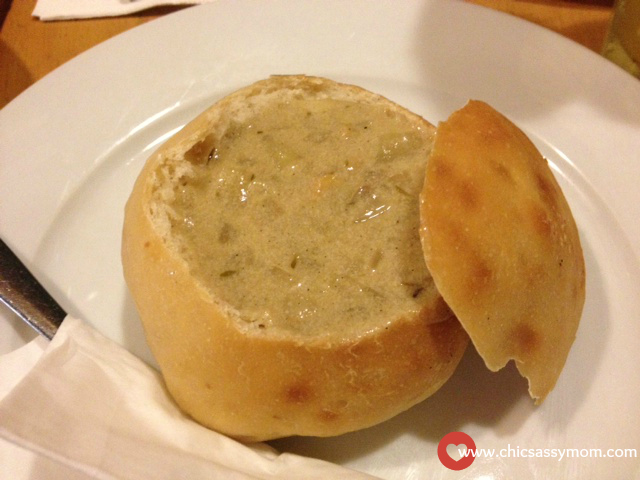 New England Clam Chowder Soup in a bread bowl. #Yum You ought to know that we love clam chowder soup, so far this is nice, comparable to one of my fave Rack's clam chowder soup. Four Seasons Salad Grande. So pretty, tasteful, and yes very healthy, just look at the colors! Seafood Feast Grande. 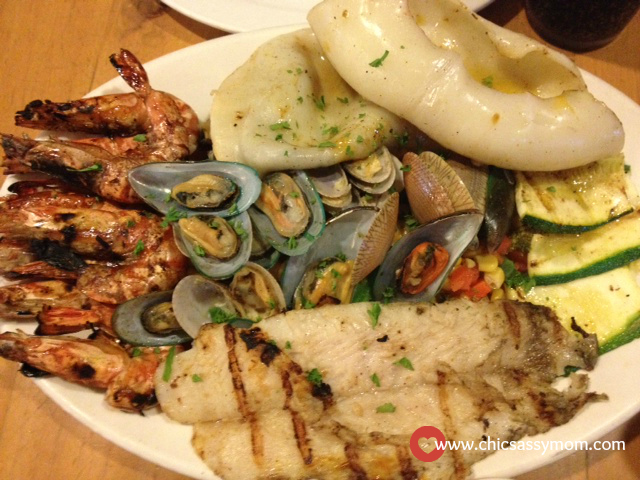 Seriously one of the nicest seafood plate I had, flavorful, juicy, grilled to perfection. And the vegetable side dishes are perfect. Remember that my my hubby's family have a fish pond, so their pretty used to seafood, and in effect they're very picky and particular with freshness etc. This got their seal of approval. 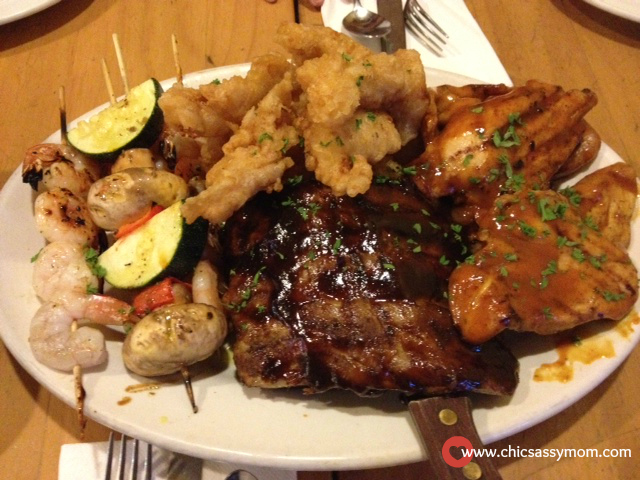 Of course, gotta feed my boys (son and hubby), so we ordered the Family Feast Grande with honey-glazed chicken, Bourbon-style Barbecue Ribs, and yes more seafood (Batter coated Cream Dory and Shrimp Kebabs), plus vegetables and mashed potato for side dishes. Back to the birthday celebration, my son, who was with us when we heard them singing last time, in the middle of the meal asked us when will they sing. Hmmm...excited much. ^_^ When we're almost ready for dessert, I told my son that he needed to go to the bathroom. #ActingMuch We're ready for the surprise! We love you Gumbo! The staff of Gumbo did it again! 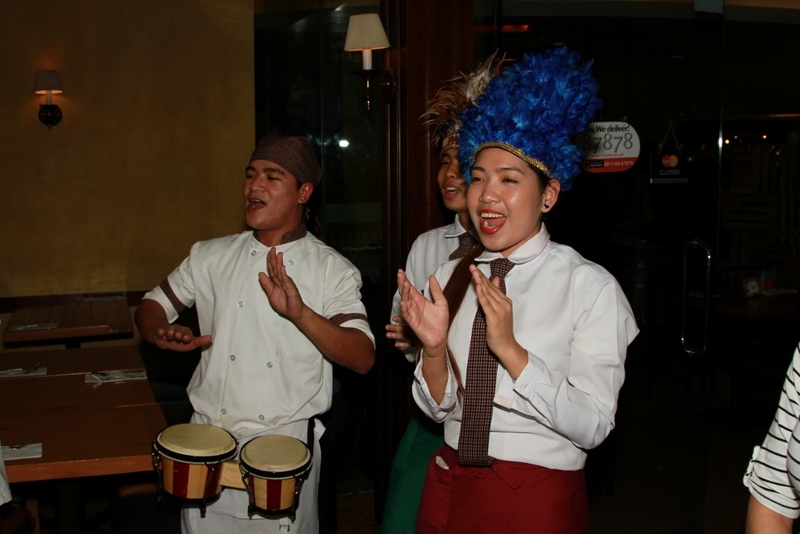 They had a very cheery, and upbeat birthday song rendition! Happy 60th Birthday Nans! :-D And yes, she got a party hat! ^_^ The cake is Mango Cake from Red Ribbon, which we also gave to the staff of the restaurant prior to going with the birthday celebrant. 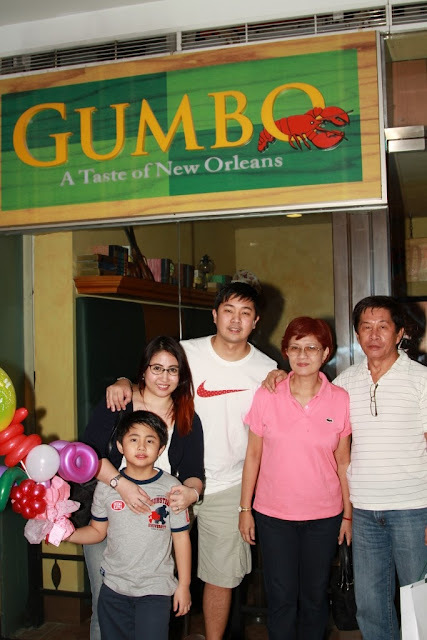 For Gumbo Menu and Prices, please checkout the Gumbo Philippines Official Site. 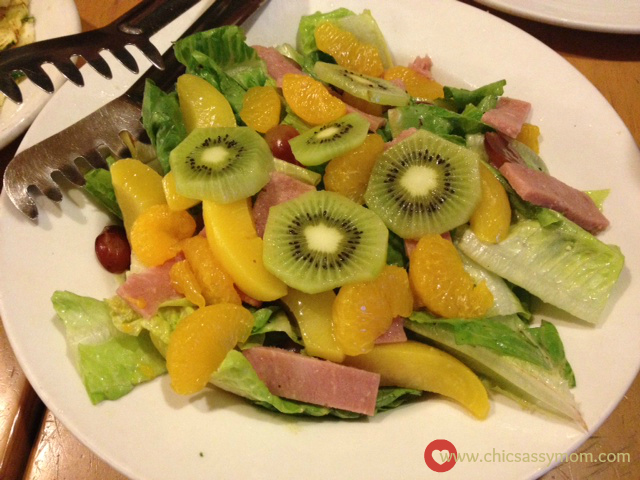 definitely I love the salad..:-) looks very yummy to me.. from Davao here add me please..